If you, just like me, have a MSDN subscription you are also provided with some serious Azure Credits. Because I am a Microsoft MVP I received the MSDN Enterprise subscription, allowing me to run 130 euro worth of Azure services. 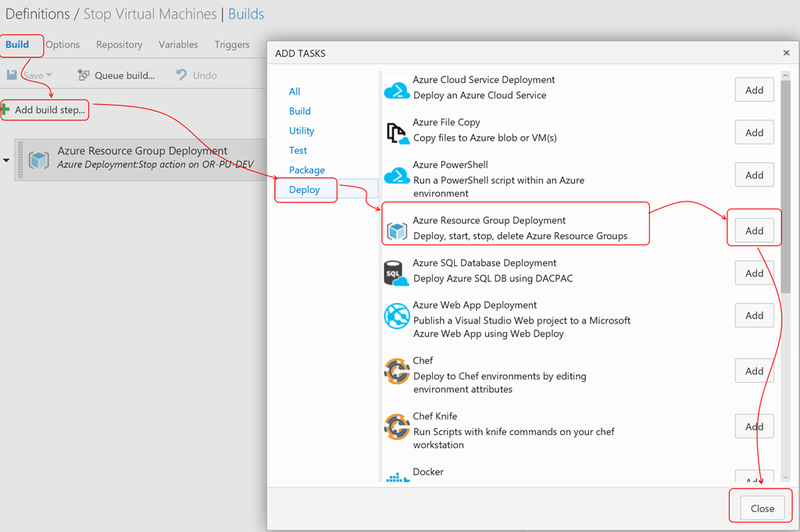 Because I do a lot of demos and experiments I always have a couple of Virtual Machines running in Azure. But… If you have a number of Virtual Machines running, and the VM’s are a bit faster than the cheapest option, credits burn up pretty quick. 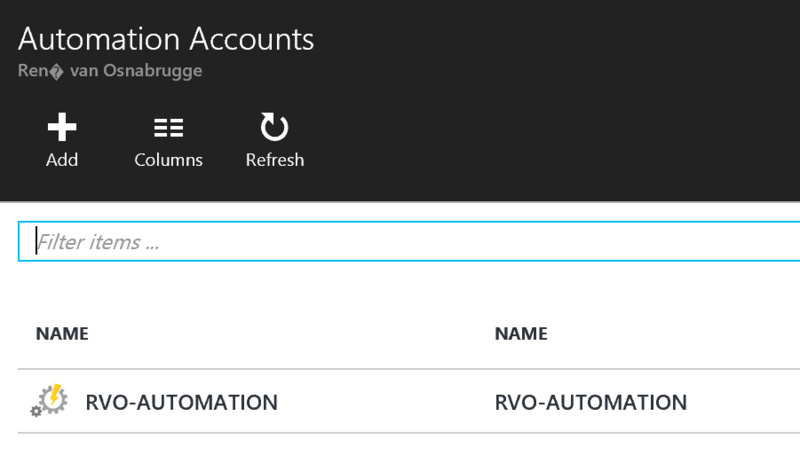 I have used the Azure Automation Accounts, but that included powershell scripts that I had to maintain somewhere, notification were hard to set up etc. I then I had an Idea. 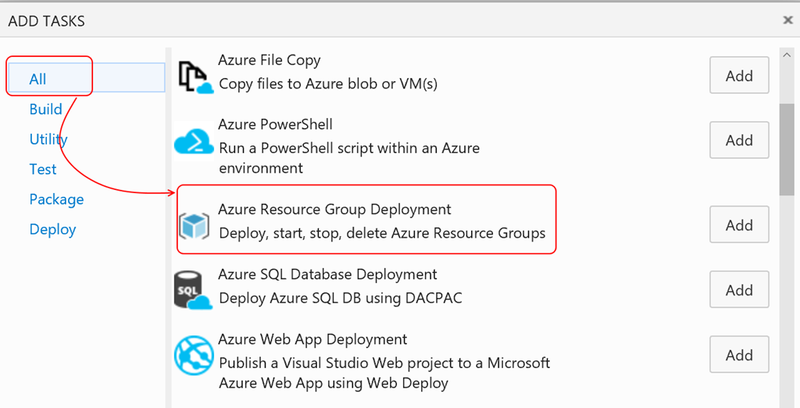 In the fantastic new Build engine of Visual Studio Team Services, there are native tasks for managing Azure Resource Groups. Like creating and deleting them, but also Starting and Stopping Virtual Machines. All working out of the Box with security arranged with either credentials or a Service Principal. And the good thing is, they can be scheduled easier than ever. 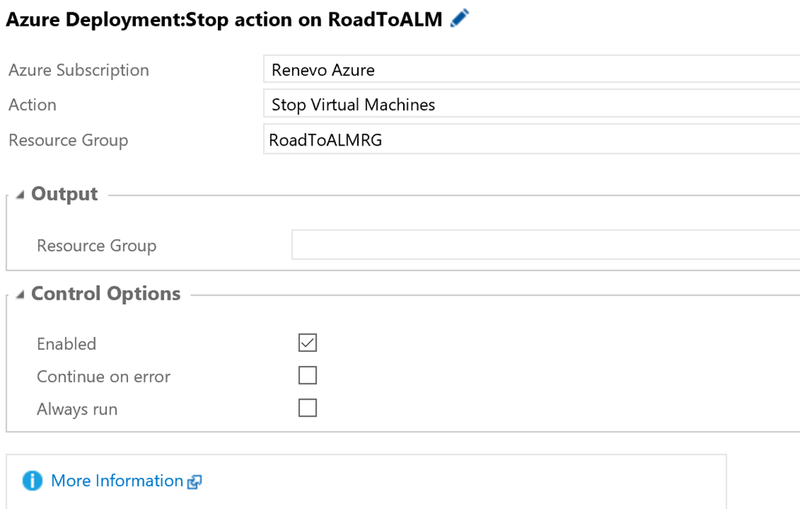 So in this post I will walk you through the steps to set up a VSTS build that uses te hosted agent to stop your VM’s on Azure. This saves you money and time. 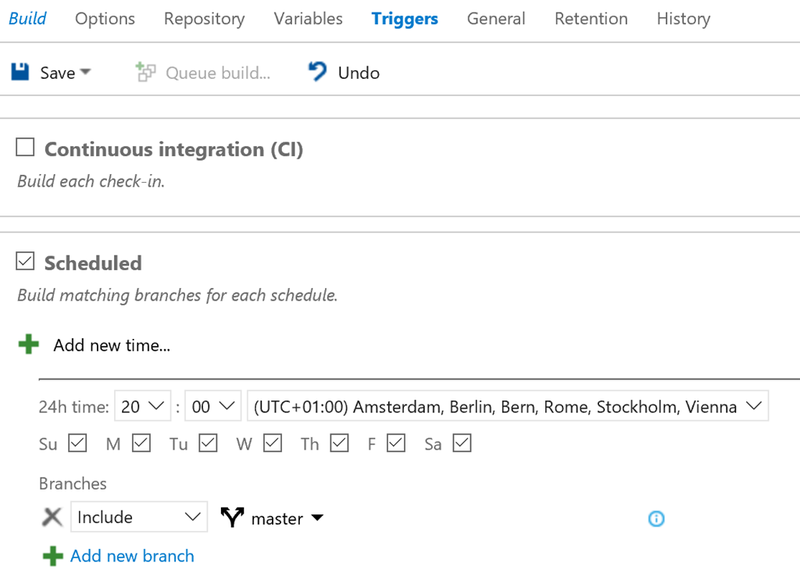 You can use the same steps to start them just before work or use VSTS alerts to get notified when something went wrong. 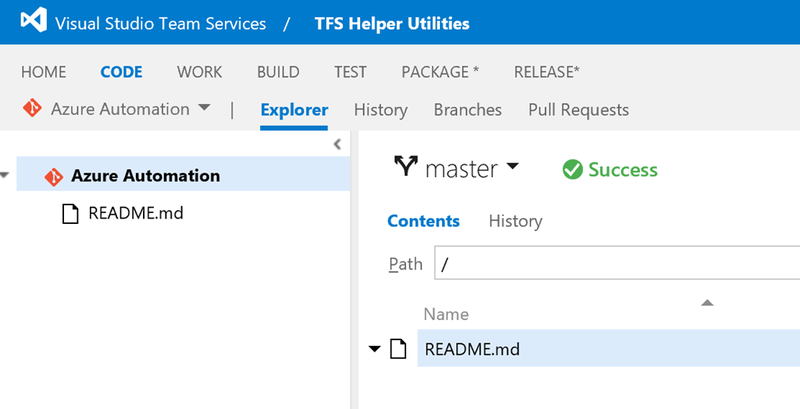 So first we need to create a VSTS Team Project. I Created an Empty project for this, with a Git Repository. I added the Readme.MD file so the repo was not empty. -Credential parameter can only be used with Organization ID credentials. I chose to use the Service Principal. To get a working Service Principal, You should follow either this manual here or the section [Create Service Principal] and [Grant Access] from the post of Donovan Brown. Grant Access to your Subscription to this application by adding it as a contributor . See the post of Donovan how to do this. Of course you can add as many tasks as you like!